Cookies for iPads is an organization, near and dear to my heart. who raise money for iPads, selling COOKIES! When they reached out to me for support...I jump right in, giving them my full support. Providing Ipads and applications to Autistic children who are moderately verbal to nonverbal! We believe their voices CAN and WILL be heard! Its amazing how something as fickle as money stands between these children and their ability to communicate! We are a group of mommies of children with autism, seeking to reach one goal, giving autistic children in Ohio a voice through an Apple Ipad. We do the old fashioned cookie bakes where we sell "puzzle piece cut out" butter cookies, and sell them to our community for donations. In return we take 100% of those funds and use it to buy Ipads for the nonverbal children in our area. We have grown from 3... kids on our list 21 over a months time, but have had the blessing to award 3 with 2 more being donated! We are willing to help any child in this area, so please feel free to contact us. The only requirement is that your child needs an official diagnosis with a diagnosis of a speech delay. We are always accepting volunteers, because we are constantly needing to raise funds for the little ones. If you have any ideas or would like to help us fund raise, please feel free to contact us. 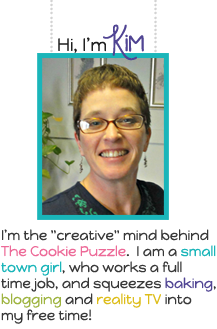 or you can contact me,at, thecookiepuzzle@gmail.com, and I can give you more information.